"The process is flawed and it harmed the children. 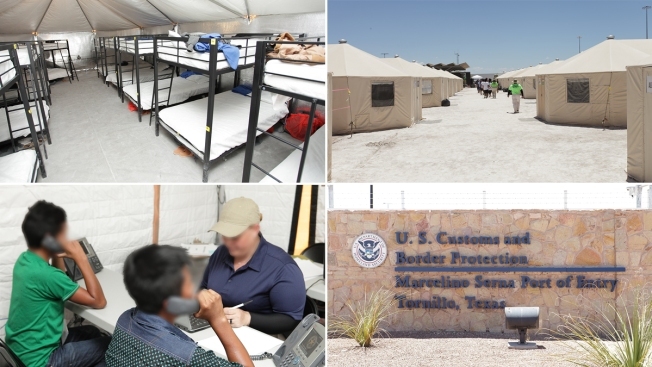 I would like to never do this mission again"
The separation of migrant families at the border "should never have happened," according to an emergency manager at the Texas tent encampment that houses hundreds of children because of President Donald Trump's policies. The worker spoke to NBC News on the condition of anonymity out of concern for his safety on a media tour of the facility. "The crisis was a result of the decision to separate the kids. The separations should have never happened," he said, adding, "the process is flawed and it harmed the children. I would like to never do this mission again." The facility in Tornillo holds 326 kids, mostly boys from Guatemala and Honduras, aged 13 to 17. They sleep in tents that resemble barracks and are allowed two 10-minute phone calls a week.